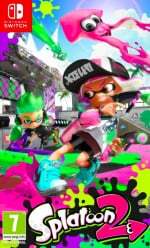 Splatoon 2's Octo Expansion has been out in the paint-soaked wilds for a few of weeks now and Inklings the world over are enjoying the joys of a proper single-player portion to balance out the game's usual multiplayer offerings. 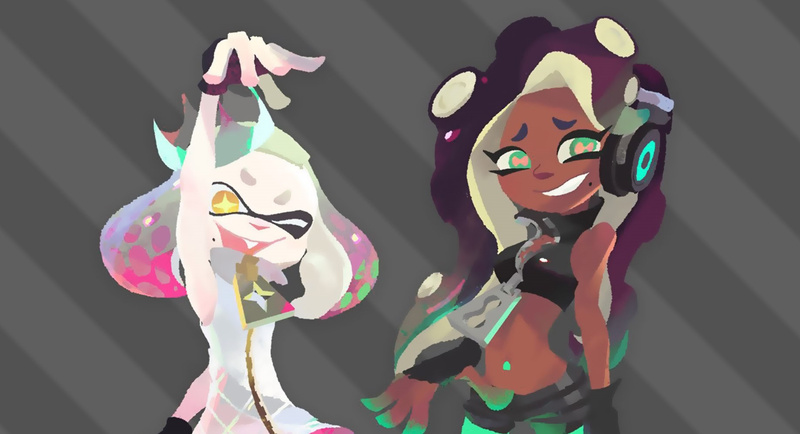 And, as you might imagine, all that extra content also included some brand new music, including a new track from everyone's favourite duo, Pearl and Marina. Nintendo of Japan has offered a brief glimpse into the recording of the new Octo Expansion tracks, with artists Rina Itou and Alice (who voice Pearl and Marina respectively) returning to lend their vocal chords once more. Yeah, we know it's random, but it's Splatoon 2, so we love it. Love the Splatoon 2 CD! Guess I'll have to get this one too. Funny how the signers look like the characters they play. The music is such a big part of this game's fun! Dunno if it's just me, but don't they look a bit like pearl and marina? I thought the same thing immediately! @Pod @Caittiecat It’s uncanny, really. That's so cool! I always wondered what it was like to speak gibberish into a microphone and have it sound good. I wish we got to hear what their actual unfiltered voices sounded like though. Eh, I'm sure a quick Google search will clear things up. I wouldn’t mind a concert with them lip singing to the Splatoon 2 Off The Hook music. Marina's Voice Actress isn't looking all that hot, Pearl on the other hand, wow! @Caittiecat @Pod @MH4 It's not an uncommon practice to model a character after its voice actor, so it may have been deliberate. Like Shark Tale. @Savino Ouch, too much salt and you're gonna get dehydrated! @HADAA I do remember reading that the devs of God of War (PS4) couldn’t decide on Atreus’ face, but finally realized that his voice actor’s face was perfect for the role and scanned him in, so I wouldn’t be surprised at all if this was a similar case. It's amazing how much they actually resemble their in-game characters, though that was probably thanks to the character designers. Now, I'd love to hear how they sound before all the cephalo-filters on top of their voices. Also, uhh way to bury the freakin' lead. They're releasing a Splatoon 2 OST?! Details please. I had to order my Pearl and Marina Amiibo from Germany. The scalpers in North America are already screwing people. I love how they actually look like them too! Haha. Love these videos. Seeing how all those super-filtered wierd tracks are done using live musicians is very cool. Why are these not in the states?